Terminologies used in the field of tax can be quite confusing or sound similar, but their meanings may be different, and they may also have different functions. It is hard to go through a tax filing process and fail to see a terminology that is beyond your understanding. Among the most common terms that you are likely to find are PAN, TAN, and TIN. This article delves into defining the terms and outlining the differences that distinguish the terms. PAN stands for Permanent Account Number. This is a unique code of 10 alphanumeric digits that is given to every taxpayer in India. The PAN is issued by the Income Tax Department which is a process supervised by the Central Board for Direct Taxes and is a requirement for anyone who is involved in commerce, and whose transactions go above a given limit as per the country. In essence, a PAN is a representation of an individual to the department and is used with regards to various financial documents to identify the person. A PAN card or number is a very vital form of identification and is usually a requirement for citizens aspiring to start a company or LLP. 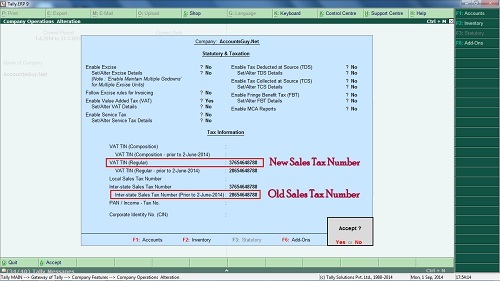 TAN stands for Tax Deduction and Collection Account Number and is a unique code made of 10 alphanumeric digits also issued by the Income Tax Department (1). It is issued to every entity or organization which deducts tax at the source otherwise known as Tax Deducted at Source (TDS) or is required to collect tax at source otherwise known as Tax Collected at Source (TCS). This organization or entity might be just a company or a bank which deducts tax from its employees’ salaries. TIN stands for Taxpayer Identification Number is a code of 11 numeric digits, which is a requirement of all manufacturers, shopkeepers, dealers, exporters, e-commerce sellers and any other traders or dealers who are expected to pay Value Added Tax. Taxpayer Identification Number was initially introduced by Income Tax Department as a way of modernizing the pre-existing tax systems of direct taxes’ monitoring, accounting, processing, and collection using information technology (2). It allows one’s tax activities in one state to automatically reflect in in another state when it is time to pay. In the US, the TIN is assigned by the Social Security Administration or by the Internal Revenue Service (IRS). It is also referred to as a VAT Number, CST Number or Sales Tax Number. The terms all have different meanings, and each is different from the other one. The following are some aspects in which these terms are different and some description of how these differences occur. Since PAN, TAN, and TIN are all tax-related identification numbers, they are issued by bodies involved with tax collection, processing and accounting. 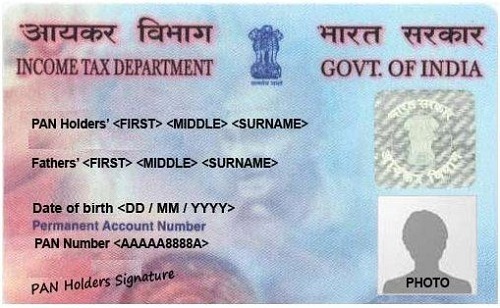 PAN and TAN numbers are both issued by the Income Tax Department. However, the assignment of PAN is usually under the supervision of the Central Board for Direct Taxes. TIN is usually assigned by the Social Security Administration or by the Internal Revenue Service in the India. In the US, TIN is assigned by the Commercial Tax Department of the governments of each of the states. The codes all have distinctive structures that uniquely identify them from each other. Both PAN and TAN are ten digit alphanumeric codes. However, their content and their arrangement are slightly different. Starting with PAN, the number is made of five alphabetic characters followed by four numeric characters and a then the final character is an alphabet. The first three letters are an arrangement of alphabets from AAA to ZZZ. Then follows the fourth character which is an identifier of the unique holder of the card as pre-defined. Each letter has what it represents (3). The fifth character is the first character of the name of the person in the case of a Personal PAN card or the name of the entity in the case of a Company/HUF/Firm/AOP/BOI/Local Authority/ Artificial Judicial Person or Government. The last character is an alphabet which acts as the check digit. A TAN has almost the same structure as a PAN number except that it has five numeric characters before the check digit. The first three alphabetic characters represent the city in which the number was assigned. TIN, on the other hand, is an eleven digit numeric code whose first two characters represent the state code assigned to that particular state. The other nine characters may vary from state to state. There is the purpose for which these numbers are intended for. PAN acts as a universal code for identifying financial transactions. It helps to keep check on any transactions that possess a potentially taxable component. TAN, on the other hand, is used to systematize the deduction and collection of taxes at the source (TDS and TCS). The collector or deductor is required to quote TAN in all TDS and/or TCS return, any TDS/TCS payment challan, and TDS/TCS certificates (1). A TIN is used to identify all dealers who are registered under VAT. It tracks all the activities which are related to Value Added Tax in the country. Regarding the persons or entities who should be in possession of these numbers, it is mostly dependent on the purpose of the number. For instance, since the Permanent Account Number (PAN) is used to track any taxable financial transaction, every taxpayer in the country is required to possess a PAN for identification. The TAN, on the other hand, a requirement of every individual or entity that has the mandate of collecting or deducting tax at the source. These are mostly employers who deduct tax from the salaries of their employees. TIN is required to be possessed by all traders and dealers who are expected and do pay Value Added Tax across the country. Each of these numbers has a constitutional law which accounts for it. The PAN is as provided by Section 139 A of the IT Act of 1961 in India. TAN is provided Section 203A of the Income Tax Act of 1961 and TIN is accounted for by different Act varying from state to state. Given that each of these numbers is constitutional requirements supported by various laws and Acts, there are bound to be consequences or a price to pay if the set rules are not complied with. There are varying penalties in various states for failure of compliance with TIN (2). A penalty of Rs 10,000 is imminent if one fails to comply with the rules of PAN and those of TAN as well like quarterly filing of the TDS returns by the business or not quoting the TAN in the specific documents. For application of PAN, an Indian is required to fill a form known as Form 49A while a foreigner who would like to make an application obtaining PAN required to fill Form 49AA. To apply for TAN, the applicant is required to fill Form 49B while finally, the application of TIN requires filling of different forms depending on the state in which one is applying. To apply for PAN, the applicant is required to have a valid Identity Card or a proof of possession of one, proof of their address, photographs in case it is an individual applicant and a proof of their age or their date of birth (1). However, for application of TAN, no document is required except that for online application for TAN, the applicant needs to submit the signed acknowledgment. To apply for TIN, the applicant requires proof of registration, possession of a PAN and proof of identity of the owner. However, these requirements could change depending on the state in which the entity has made an application. The application for PAN in India is divided into two categories. The first is if the address of communication is situated within the country and the other is if the address of communication is outside India. These are charged Rs.107 and Rs.989 respectively. For application of TAN, it will cost the applicant Rs.55, and also they shall be required to pay the service tax. The cost of application of TIN is varied also depending on the state in which one is making the application. Table 1: Summary of the differences between PAN, TAN, and TIN. Entitled Persons/Entities. Every taxpayer in the country. Every individual or entity that has the mandate of collecting or deducting tax at the source. All traders and dealers who are expected and do pay Value Added Tax. Legislation Section 139 A of the IT Act of 1961. Section 203A of the Income Tax Act of 1961. Varies from state to state. 49AA (Foreigners) 49B Varies with state. Required Documents for Application Valid Identity Card or a proof of possession of one, proof of their address, photographs in case it is an individual applicant and a proof of their age or their date of birth. No document is required except that for online application the applicant needs to submit the signed acknowledgment. Varies with state. If the address of communication is situated without the country; Rs.989 Rs.55 and in addition to the service tax. Varies from state to state. Georgina Nderitu. "Difference Between Pan, Tan, and Tin." DifferenceBetween.net. June 21, 2018 < http://www.differencebetween.net/business/accounting-business/difference-between-pan-tan-and-tin/ >. Colombo, J. (2012). The Marketing of Philanthropy and the Charitable Contributions Deduction; Integrating Theories for the Deduction and Tax Exemption(1st ed.). 36. Wake Forest: HeinOnline. Publishing, O. (2015). Building Tax Culture, Compliance and Citizenship - A Global Source Book on Taxpayer Education. Paris: OECD Publishing.